Do you struggle getting out of the sand? Does it sometimes take you 5 or 6 shots to get it out of the trap? Don’t worry. You are not alone! What if there was a way to not only get out of the bunker but get it close every time? NOW THERE IS! Introducing the EVERY INFOMERCIAL WEDGE you have ever heard of on TV. Do Infomercial Wedges Actually Work? Almost all golfers have seen an infomercial ad for a wedge. Most think they’re a joke or a gadget only for the fools in the world that think they can buy a game. But are the joke? Is it possible they actually work? The Ray Cook Alien Shot Saver grossed over $200,000,000 in sales over a three year period. That’s pretty amazing to think about when there’s never been a comprehensive test done to find out if they actually help golfers. Like most infomercial products, the target demographic for the product is mid to high handicappers. With that, we tailored our test group to accurately reflect the target market. Four total wedges were tested: a C3i Wedge, a Cleveland SmartSole 3, a Callaway SureOut, and a traditional sand wedge from a market leader. 8 golfers with handicaps ranging from 10-20 and driver swing speeds between 70 and 90 mph participated in this test. All shots were recorded regardless if the ball finished on the green. The table below shows the data collected for the four wedges tested. The C3i and Cleveland SmartSole produced the tightest average proximity to the hole. The C3i also left the fewest shots in the bunker (6) AND the least number of shots short of the green (9). The traditional wedge and Callaway SureOut left an identical number of shots in the bunker (12). 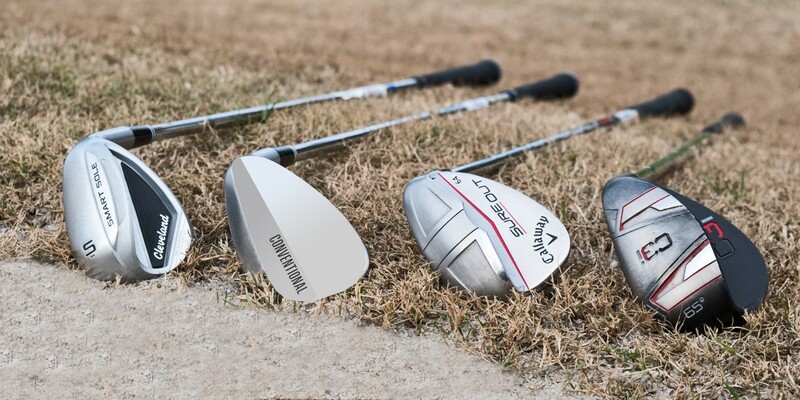 While the average proximity numbers don’t show the C3i to be extremely impactful – 5 out of the 8 testers produced better results with the C3i than any other wedge. Not a single tester performed best with the traditional wedge; in fact, 5 of the 8 testers produced the worst results with the traditional wedge. So, do these non-conventional wedges really perform? Our data suggests that they do for the average golfer. While these wedges may not be your golf game “savior,” they can certainly help you get the ball out of the sand on your first try. If you have a “bunker swing” that you’ve practiced, tried and tested – we should probably stick to a conventional wedge. Due to the unusually large amount of bounce on the sole, opening up one of these wedges and taking a normal bunker swing can cause the club to just bounce off the sand, leaving you to blade it across the green or scoop the ball completely. If you have a struggling bunker game but still know the basics (we call these golfers “in-betweeners”) the Cleveland SmartSole is a great option. The bounce and loft aren’t as aggressive, which allows the club to dig just a bit. For the weekend golfer, the high handicapper, the guy who just can’t get the damn ball out of the sand – the C3i Wedge is for you. You don’t have to change your stance, your aim or the way you swing the club; just step up and hit it out and closer. You might just want to give one of these a try. I bought a Cei wedge and it was horrible. Some shots okay. Others WAY too long. Yes, it did get me out of the trap very well but no feel or control of distance OR direction. I ended up with a Tour Edge triple grind 60°/7° and it has been the best wedge ever. I play a trusty Rusty 60 degree lob wedge and a Cobra Baffler 55 degree sand wedge along with my Bio Cell pitching and sand wedges. I wouldn’t have it any other way…but the 3Ci would be one idea and the Cleveland game improvement wedges are on my radar. I carry the 64 degree Sure Out. Did you watch the Fed Ex Cup at Eastlake? The 64 Sure Out can handle that deep rough around the greens or from the sand and still enable the ball to stop on a hard, fast green. I am behind in my reading. So, a late comment. I have a genuine old very chrome Hogan Sure Out, must have about a pound of lead in that big sole. Works great. No distance. Not a wedge, right. Just for sand. I get out first time except if dealing with a Brit style high lip. Did not know that Callaway bot the name Sure Out. Now I know. I had to import to the UK both of the smart sole wedges from Cleveland last year as the high revetted bunkers and bare lies around the green at my home club (a championship links) did nothing for my confidence. I was a 14 handicapper then, 58 years old … I’m 10 now! I remember playing the sand wedge in the Adams A7OS set and it was a bit more challenging to hit out of the sand. I carry a TaylorMade game improvement sand wedge and figure like the Rocketbladez or Speedbladez that will be more than adequate for me! I am sure that these other wedges work, but I am a tweener and just need the confidence that a game improvement sand wedge can give me! Remember the Incredible Alien? Great club. But most Golfers think they are too good for that easy a club. I love it. We still carry some game improvement clubs in our demos…and it seems the alien wedge still has some popularity! We have a Snake Eyes sand wedge and an iron from those clubs. Whatever works to get the job done is the ideal here! I bought the 54/59/65 C3i last year. The 65 is in my bag for all bunker shots, the 59 is in someone else’s bag for all bunker shots. Using it is a cinch, I close the club face down, and vary distance behind the ball, sit and swing. I am disappointed in any bunker shot that is not within a few yards of the hole from as far away as 40 feet. The 59 is doing similar good service in the bag of a friend who was taking multiple shots to get out of bunkers, and all though it gave us a laugh it was slowing our rounds down! My girlfriend & I bought a 59 & 65 C3i – I was keeping my hands low & blading A LOT until I learn to use them you must overtly dug in the club toe at address. I flop out of the sand well now. Jamie still struggling in sand but regularly doesn’t get her club up post impact. I chip my 56 too long off the fringe and occasionally use them there now. I bought an Alien with Graphite Shaft and headcover for $129 off tv. Wish I’d of never sold it though it was an ego thing. Club was money from everywhere. Bring it back, Alien2.0 I’d buy one again. LOVE my Cleveland Smart Sole wedge! When folks ask me how did I get so good out of the sand, I say my sole is smart.. :o) Seriously if you have problems out of green side bunkers try one. You have zero to lose and much to gain. Has anyone tried the latest – Square Golf Wedge? Would be very interested to learn from someone that has actually tried this wedge. The square strike is meant for chipping. Not for the sand. I just bought the square strike wedge. It’s ok and the alignment was great but overall, it didn’t live up to my expectations. Wasn’t as heavy as they claimed IMO. good for very close chips but not for longer. Longer ones I did chunk it. I hae an old E-club type 2 jigger that is heavier and works great. Sending back the square strike. Have any of you critically watched the before and after pictures of the people in the Square Strike wedge commercial? In the before shots, these choppers decelerate on their chips and do not follow through on their chips. But magically after they try the Square Strike wedge, they are following through on their chips and puting the ball in or near the Hole. Coincidence? I think not. How many takes and retakes did it require for Square Strike to get the after results they wanted? Hey, Square Strike, are you ready to answer this honestly? 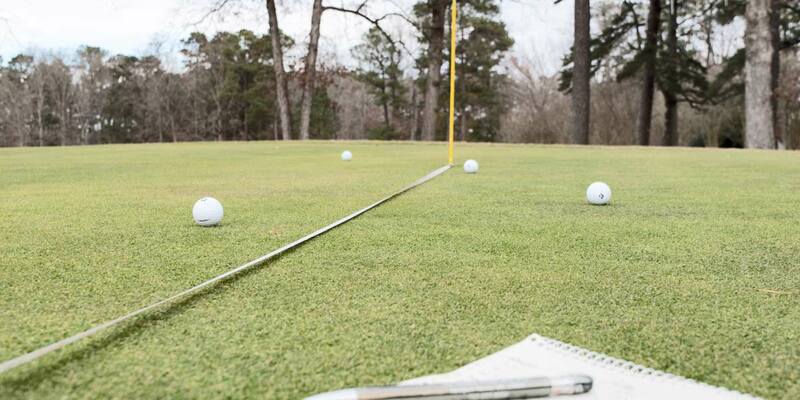 If you don’t have a decent chipping stroke, the club won’t make a difference. And have you ever noticed that the supposedly low handicap golfer who makes his chip from 20 feet away and swears by the Square Strike wedge is also in the commercial for the G7 driver? Is he being paid for this? And is he a pro? The USGA should investigate his amateur status if he is an amateur, otherwise, the Square Strike and G7 driver people should identify him as a professional golfer. Total shame on Andy North for shilling for Square Strike. Great article. Has MGS done a similar test with infomercial drivers and hybrids vs standard OEM clubs? I would LOVE to do one myself, but… (1) too expensive for a 1-time test, and (2) too embarrassing to bring a bag full of gadgets to the course! More or less the same concept, a huge shout out to Hireko for the Sand Blaster. Made a big difference to my game. I had long been the dude lost in a cloud of sand and profanity, and at the risk of sounding like an Infomercial myself, that club completely changed my game. It’s a combo what type of sand and condition the bunker is in that dictates to me what wedge to play. We don’t play on tour groomed sand bunkers but mostly on well used or not raked for a week with foot prints in the sand conditions. Some after a rain and before a good raking are like concrete , good luck. I have a various assortment of wedges I will put in my bag depending on the course I play. I tried the Smart Sole without much success and thought I’d try the C3i but found a like new Cleveland 588 RS 60* and Bingo what a nice fit. You don’t have to open it up just set up and swing it does the rest. When I want to open a shot I use my Cleveland RT-X 3 56 on most lies. For the sand soft or packed, the 588 RS is a no brainer for me and very dependable around the greens. Nice height, soft landing and half the cost of current similar models. What are the specs (bounce and grind) on the “standard” wedge? Have the Smart Sole 2.0 S in my bag, it’s a bunker saver for sure. I’m in the target audience and bought an earlier version of Cleveland Smartsole S because I struggled with consistency out of the sand. It made a big difference for me. I still carry it and use it as my go-to chipper from within 60 yards. For my skill level it’s a great club! Not surprised the wedge that was designed (or at least partially designed) by Haney came in last. I have been looking at the C3I now since the infomercial came out. I also remember the (I think) FE1 that preceded it and for that matter the Alien. Really toying with the idea of buying the C3I, just have not executed. Retiring next year to AZ in a golf course community and the course has a lot of sand. I consider myself a pretty good sand player but I think I will buy this club anyway, and most likely I will put it in my wife’s bag. With a couple of notable exceptions virtually all the women that I play with don’t practice and if they do they don’t practice sand shots and they all hate sand shots. For women (and men for that matter) that find themselves in that category, I have to think the C3I would be a great bet. Golf is too hard as it is. 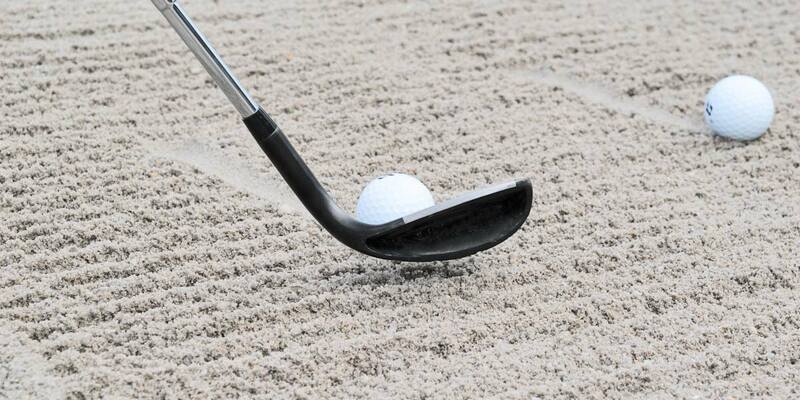 Anything that helps a high handicapper get out of the sand easier is going to make the game just that much more fun. and other bump and run like specialty wedges. Thanks for testing these wedges. The report was informative and I’m going to purchase the Cleveland Smart Sole for a Christmas present for myself. Like other readers, I have trouble believing that the Alien wedge sold $200 million worth of product in 3 years. Is this really accurate ? No doubt. The things were everywhere. Can still be found in the secondary market to this day. Plenty available on ebay. Some in very good condition. Dressy but casual. Trendy but unique. Be smart. Buy now. I’ve only had 3 eagles and in my life and two of them came on a full 60 yd shot with my 64* Callaway Sure Out this season. Very effective in the bunker and out (9.4 cap). HooRay for an alternative club maker beating out Golf Digest and the OEM’s. Thefirst question I ask in a wedge fitting is “Where do you play?” OEM’s make wedges for PGA pros playing perfectly maintained fluffy bunkers. If this is not you, see your club maker for the tool that fits your challenge. I am a 6.9 handicap and I have a decent sand game. However i love to have my bunker swing to be the same as my regular swing so I think this concept could be super easy for a sharp shooter to to pick up quick. The C3i is going for $99. I’m getting one. I’m surprised that an infomercial product actually outperforms “normal” clubs, but I kind of like the idea. But……you said that Alien wedge sales exceeded $200 million in 3 years?!?! They sell for $40. If that was their price during the 3 year period you mention, that means they sold 5,000,000 of them. That is 4500 every day for 3 years!!!!!! Sorry, but I don’t believe it. Agreed. Sounds like they slipped 2-4 decimal places. More like 10-30 per day would be more reasonable. Originally I thought the Alien went for something like $79 not $40, however I could definitely be wrong it was quite awhile ago. If it did go for $40 and they sold 5,000,000 of them that would mean at the time, that 1 out of every 6 players in the country was gaming an Alien. I play about 50 to 60 rounds a year. I have only seen them in play twice that I can remember. Maltby has been making wide sole wedges for years. The technology is not new. Low bounce, wide sole = more effective bounce while being able to hit them from tight lies. I played the Cleveland SmartSole S wedge for a long time and loved it. My only issue is you can’t “open” it up for other shots. 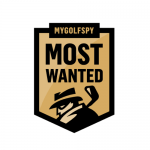 Island of Misfit Clubs…that’s hilarious, every serious golfer has one though. These wide sole wedges have been around a long time. Because they bought the rights Callaway calls theirs Sure Out, which came from the Ben Hogan company. I used to have a Dunlop that worked well I got from K Mart. The problem is you cannot open the face at all. No versatility. You must consider the kind of sand you encounter most as well. Best is to learn to use the bounce on your standard wedge. Or just avoid the bunkers altogether. Are all of these legal under USGA rules. I assume the Cleveland, Sure-Out and conventional wedges are. I have heard the C3i isn’t legal. Is that true? The C3i is legal—i really like it out of the sand. Bought a PureSpin after watching an infomercial, I love it, still use it. I bought one of those when it first came out. I spun the crap out of the ball the first two or three times I went out with it. After that, my “diamond coating” must have worn off. I have the original Cleveland S wedge and it’s a keeper! My wife had to have one and she loves hers too. Anybody who struggles out of the sand should give one serious consideration. I have a 58° touredge one out. Guess it’s the alien wedge. It works great, and save me from abusing my other wedge’s. I’d recommend it to anyone struggling with bunker play. It’s not a fix all, but definitely helps. I have always wondered if someone could actually have success with clubs like these. You see them on TV in an infomercial and most of the time I think, “oh that’s a waste of money.” However, after reading some of the comments and this article, I now believe that these clubs could be beneficial for the higher handicap golfer. It could even just be used as a training tool to teach people how to get out of the sand. I use the previous version of the Cleveland SmartSole and while I think it has improved my sand game, it’s difficult to say for sure. Seems like it always comes down to technique and confidence. I do notice that there may be a little too much bounce for hard/wet bunkers so occasionally I will blade it way out over the green, which is so frustrating! I’ve been playing for almost 6 years and I still get a little mental when my ball goes in the bunker :). It is good to hear that you have had success from these clubs. I don’t know anyone that has one of these, so I always wondered if they work. I have an older version of the Smart Sole and, at first, I was a bit embarrassed to put it in my bag. Then I started hitting better sand shots and hitting high soft green side approaches from any type of grass. I am sold! Funny thing is that Ralph Maltby had wedges like this years ago. (and separately the Alien and Moe Norman Sandy Andy) Now Cleveland, Callaway and Tour Edge all have versions of this “new” technology. I’ve tried a number of them…you still need to make a consistent, aggressive swing to get out of the sand no matter what wedge you use. Bought the Callaway and tried it,, was not better than my 60 degree Mac Powersphere, I returned it. Found an old Alien in a garage sale, worked great from the fairway but again, not better out of the sand. Not worth sacrificing a club from the bag to carry it. I can put nice backspin on the ball with that club. In fact, that wedge and their sand wedge have dropped my handicap 4 strokes in the second half of the year. I am a 7 hc and bought my 87 year old father a 64 degree C3i wedge at the beginning of the year. He struggles from the sand and low and behold it was a miracle club for him. He gets out every time now. I tried it out of the sand and bladed it right over the green. One day I was playing around with it and tried it from a buried lie in the rough and the ball popped right out. Interesting. Then I tried it from some hardpan. Ball popped right up and sat down softly on the green. Long story (somewhat) short, they ran a buy one get one sale this summer and I bought him another one with less loft (55) and got a 60 degree one for myself. Love this thing from all lies, and it sits down so softly. I had to really learn how to play it out of the bunker, but now it’s a real go-to club. Glad I tried it. It’s interesting that the sureout was the worst performer out of the bunch. I thought it was specifically designed to assist short game. To perform worse than the standard wedge does not bode well. My girlfriend has a Smartsole and has an easy time getting out of bunkers and hitting short pitches and chips(but not off of tight lies, so I tried the Sureout and got it out of the bunker almost always, but did not have much control of distance or spin, but the main reason to try was for short chips against the grain in heavy or narley rough. It was more consistent than my regular sand wedge, but not perfect. It did work good on regular lies, but only with the face square. Since it could not replace my regular in the bunker or allowed to be opened up, I sent it back as I could not get use to hitting those shots with a square face. really like theses tests…..any idea of performance outside of the sand though? Do most golfers end up in enough greenside bunkers to carry a club just for that purpose….that may be the next question…..thank you MGS! The Grandpa could even carry 2 or 3 putters. As Adam and I were testing last week we decided that we definitely want to test these wedges in a variety of areas. I think it’d be useful to our readers to see how they performed. However we definitely see higher handicap golfers struggled more out of the sand than they would in any other situation. You can bump and run a 7-iron from 30 yards off the green, but you have to take something high lofted in a trap around the green. So there it is. Truth be told I had tremendous success with an infomercial wedge a couple decades ago. Can’t remember which for the life of me but had the rascal dialed in for some time. As they, every little bit helps.